How To Support My Child On Exam Results Day? The waiting is over and those much-anticipated PSLE exam results are finally on their way. But for your child, this is just the beginning of the next stage of their lives. For most students, this is an emotionally charged time. In our modern society, many students nowadays define themselves by their academic achievement, using grades as a marker of self-esteem. Therefore, it is hardly surprising some students are greatly affected when they do worse than they had hoped. First, try to talk to your child to know what is bothering him deep down. Is it the failure or the fear of letting you down? Don’t shy away from the disappointment your child is feeling. Encourage him/her to talk about it to you. If talking doesn’t help and your child refuses to talk to you or other family members for days, you may need to seek for professional help like counselling. Help your child learn from mistakes. Getting low grades or even repeating a year may seem like a huge social burden and embarrassment for your child. This may be the time to plan a study timetable with your child and you may also look for a good tutorial class or tutor to cope with your child’s academic challenges. While planning the next step with your child, do remember not to create unnecessary stress on your child as it is a vulnerable period for him/her. Constantly assure your child that you will support him/her no matter the results or situation. Instill confidence in your child and explain to him/her that success and failure is part and parcel of life. For children whose dreams are dashed on results day, support from their parents or someone whom they trust is crucial, not just on the day but over a period of time. Keep talking about the many possible future paths available and explain, preferably with real examples, that many successful people have taken alternative routes to reach their ultimate goals. Most importantly, praise your child on how hard he/she has studied for the exams. Emphasise on the hard work and effort that they have put in for the past few months or even years. These are the qualities that will take your child far in life, not just their academic results. *To find out more about us (BrightMinds Education: An award-winning tuition centre that has been established since 2008), please view our link @ www.BrightMindsEdu.com. Should My Child Study During The Holiday? During the school holiday, your child is free almost every day, hence this makes it the perfect time to organise the notes from the previous months of studying. Your child should use this study break to write up personal study notes for each subject. Personalised study notes not only allow your child to organise their thoughts, they also provide a quick and highly effective source of information. Therefore when school re-opens, and if there is a surprise test from the teacher, your child will be well-equipped and ready for it! When students are on a break, they are no longer working their brain at full capacity every day. The brain acts just like a muscle, and needs regular exercise to keep working at its best. Just as when you stop working out at the gym for a few weeks and you drop back your fitness levels, it takes time to get back to the level you were once at. Doing constant revision during the school holiday allows your child to keep his/her brain active. Hence when your child returns to school, he/she will be the first in their class to pick up where they left off! The first time a student sits down to study, it takes a lot of willpower. They need to convince themselves that the time and effort they spend will have a payoff, and the first few times are always the hardest. However the more they engage in study and establish a routine, it becomes easier to maintain it long-term and gives them the willpower to keep going because they see real results in their exam results. Therefore, during the school holidays, it is important to ensure that the hard work which your child has put in over the past few months of the school year isn’t wasted just because of major disruptions to their study routines. Since it is the school holiday, you can encourage your child to form a study group with his/her friends! For some students, group study can be more effective than studying alone as they can encourage and help out each other when they encounter a challenging topic or question. The school holiday is the time when students can clear their head, relax a little and stretch their brains in different ways. However, letting a study routine slip means your child is missing out on a huge study opportunity to get ahead of his peers. Without continuous revision and practice, your child will soon lose his/her momentum to study and may struggle in his/her studies when school reopens. The school holiday is the best time for students to get ahead of their peers and it can make a difference in their next year’s report card. Moreover, by studying during the school holiday, it will reduce stress levels and make studying a much easier task in 2016. As such, we sincerely hope that all students will continue to revise and study well during the school holiday! BrightMinds Education is an award-winning tuition centre that has produced countless of top students over the past few years. Furthermore, our strong team of highly-qualified tutors is dedicated to academic improvement and excellence. Click here to view our schedule and fees. – set aside more time to attempt mock exam papers in August and September. Write your own notes, in your own words. Copying blindly from your school’s textbook is ineffective; you should always paraphrase and write in your own words. By doing so, it is a great way of ensuring that you have fully understood the core concepts. Develop your own note-taking style. It is important that you develop a note-taking method that suits your learning style and works best for you. Some choose to use different colored post-its, pens or highlighters to identify important key concepts or sentences. You can also use short-forms, symbols or abbreviations when writing notes. What is important is that your notes make sense to you and you understand your own style of note-taking. I cannot stress how important it is to write your notes neatly in an organized manner. If your notes are messy and disorganized, you will not be able to revise properly and this defeats the purpose of writing your own notes for an easier revision. Use headings and sub-headings while writing. Write your notes on one exercise book per subject, as opposed to many pieces of papers per subject. This makes it easier for you to find your notes, and reduces the hassle of losing random pieces of paper. Keep your note-taking exercise book in a safe and organised place at all times! It is also worth the time to re-write parts of your study notes that are you find it more difficult, especially important concepts that are likely to be tested during the PSLE. By re-writing your notes in a more organized way, it will help to firmly consolidate what you’ve written. Writing your own notes takes time and effort, but it is is a major key to academic success. It is a form of studying itself as you are reviewing all the key concepts needed to excel in the PSLE. By writing your own notes in an organized manner, it will increase your confidence towards the subject, which in turn will increase your performance during the PSLE. Let’s be honest, how many of us have written down our life goals? Not surprisingly, most of us have not. There was a study conducted during the 1979 Harvard MBA program where graduate students were asked “Have you set clear, written goals for your future and made plans to accomplish them?” The result- only 3% had written goals and plans, 13% had goals but they didn’t write them down and 84% had no goals at all. After 10 years, the same group was interviewed again and the result was shocking. The 13% of the class who had goals, but didn’t write them down, was earning twice the amount of the 84% who had no goals. The 3% who had written goals were earning, on average, ten times as much as the other 97% of the class combined! Although this research only focuses on earnings to quantify success, it is still an extremely motivating example of why creating clear goals and writing them down is a major key to success. Are you now feeling motivated to write down your study goals? Here are 3 steps to creating clear and measurable goals that will lead you to huge success. Most goals are achieved over small achievements or successes. Firstly, break your goals into small actionable steps and assign realistic time frames to each of them. It is no use in trying to cram too much information or revising too many topics on a day; this will lead to unnecessary stress and cause disappointment. You should practice and review manageable number of topics every day. You may set aside more time to revise a more challenging topic and lesser time to revise a topic which you are familiar or good at. As the saying goes, Rome wasn’t built in a day. We shouldn’t expect to accomplish something or achieve success immediately. By setting small study goals, this makes it much easier for us to achieve our final goal. Do not forget to celebrate your success when you have accomplished your benchmarks! Have a small celebration, and continue to study. Success is the sum of small efforts repeated day in and day out, so continue to study hard, and you will reach your final study goal eventually. If you can dream it, you can do it! BrightMinds Education is an award-winning tuition centre that has produced countless of top students over the past few years. 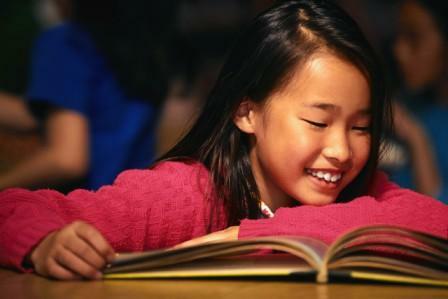 Our strong team of highly-qualified tutors is dedicated to academic improvement and excellence. Click here to view our schedule and fees.